Today’s retirees are looking for more than croquet courts when it comes to their amenities and activities. At Moorings Park Grande Lake, a multitude of both will keep residents active and engaged for years to come. That lifestyle begins in the clubhouse at Moorings Park Grande Lake. Another unique lifestyle feature in the clubhouse is a golf simulator. Moorings Park’s original campus already has its own art studio with classes that are very popular with residents. Also located in the clubhouse will be The Center for Healthy Living. The center is home to rehabilitation services, as well as the Care 360 concierge healthcare program, which was developed in partnership with NCH Healthcare System. The Care 360 program offers a higher level of personalized primary care.  Services are available to residents of Moorings Park with no additional fees, other than typical co-pays. The Care 360 concierge physicians are accessible by appointment, plus 24/7 access via phone, text or email. While some residents will have a paint brush in their hand, others will likely have a golf club in theirs. The golf simulator planned for Moorings Park Grande Lake’s clubhouse will give resident golfers a chance to perfect their game no matter the weather outside. And while the list of amenities inside the clubhouse is long, Moorings Park Grande Lake will also have a number of outstanding and unique amenities outside. A few include a yoga pavilion, rubberized walking paths, lakeside parklettes with boardwalks, gardens, fire pits and overlooks, several bird-watching posts, and bocce and pickleball courts. Consistent with other Moorings Park campuses, Moorings Park Grande Lake will also include common areas that promote social interaction, which will allow and encourage residents to choose from indoor and outdoor activities year-round. “The areas for social gatherings were designed so the family members and friends of our residents could join in the various activities,” said Lavender. 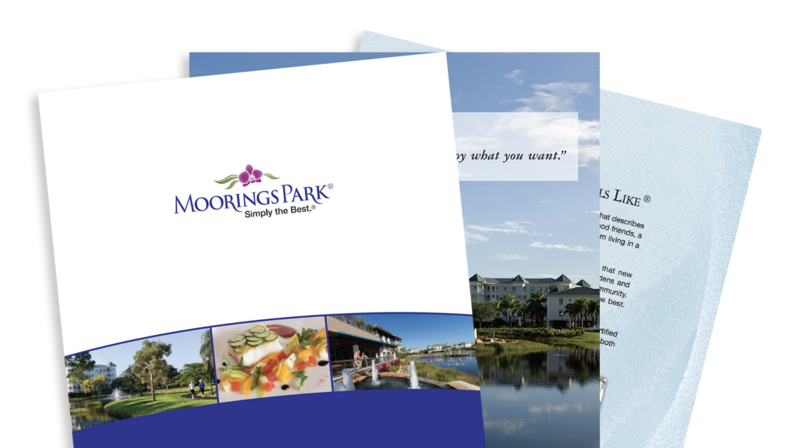 Moorings Park Grande Lake is being developed by Moorings Park, the premier provider of active retirement living in Southwest Florida, in partnership with London Bay Development Group. Situated on 55 acres in the heart of Naples, Moorings Park Grande Lake is a pet-friendly campus that will combine one-of-a-kind vistas of magnificent lakes and championship golf with luxury homes and exceptional healthcare. Entrance fees start at $1.5 million and are 70 percent refundable. Assisted Living, Memory Care and concierge healthcare services are included. Currently, residences are available in the community’s first two phases. For those who purchase in the first phase, which has a total of 47 residences, they will receive a social membership to nearby Naples Grande Golf Club. The membership takes effect the moment residents take occupancy of their home and until such time as the Moorings Park Grande Lake Clubhouse is completed. The membership includes golfing privileges on the Naples Grande Golf Club’s 18-hole championship golf course, and dining options in Naples Grande’s elegant clubhouse. 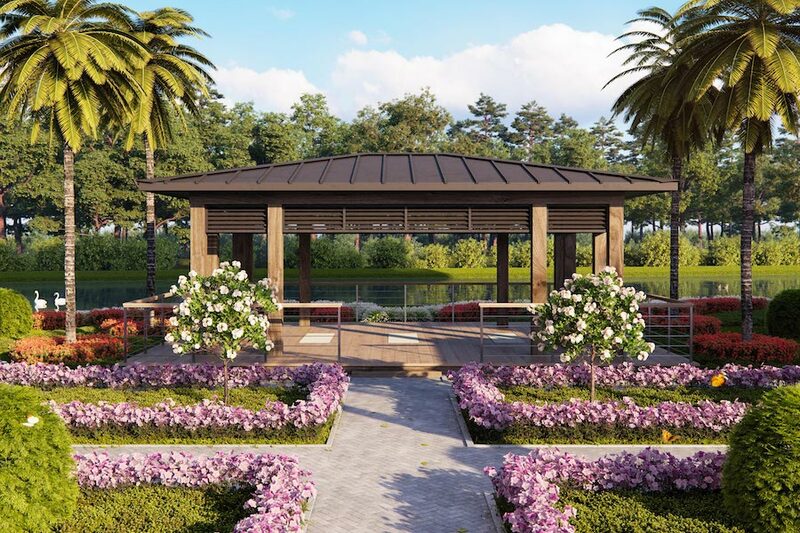 Residents will also have access to Naples Grande Beach Resort and its Har-Tru tennis courts, fitness center and spa, resort-style pool and beach, and preferred pricing on hotel rooms and dining. Phase 2 consists of two residential mid-rise towers, with a combined total of 23 residences. Building F, with 12 residences, and Building J, with 11 residences and one penthouse, both have lake and golf course views. While the penthouse is a Laguna floor plan, all other residences in both buildings of Phase 2 are the popular, spacious Brook floor plan. The three-bedroom plus study/three-and-a-half-bath home has 3,230 square feet of living area and 3,905 total square feet including a 675-square-foot lanai, which is accessible from the great room and kitchen area, as well as the incredible master retreat. The open kitchens feature an island counter with sink and seating, granite countertops, and GE stainless steel appliance package. The master bath features his and hers sinks on opposite ends of an expansive granite countertop, a recessed shower for easy entry, and a private water closet. The Moorings Park Grande Lake Sales Gallery is located at 7330 Premier Drive in Naples. Premier Drive is located on the south side of Golden Gate Parkway, between Airport-Pulling and Livingston roads, inside the entrance to Naples Grande Golf Club. The Sales Gallery is open Monday thru Friday from 8:30 a.m. to 5:00 p.m., Saturday, 10:00 a.m. to 4:00 p.m., and Sunday, 1:00 p.m. to 4:00 p.m. Information is available at MooringsParkGL.org, or by calling (239) 232-3903.